Clarence Smith, better known to the world as Sonny Rhodes, is part of that long rich line of superior blues guitarists originating from Texas. With a career ranging for more than 60 years, first working alongside greats like Freddie King and Albert Collins, to the constant touring road warrior that he has charged forward on his own, he is one of those must see artists. One of those drive the extra mileage and go out of your way artists. I once drove from Portland through the Columbia River Gorge during an ice storm to catch his show in Hood River. Crazy am I? We are talking about Sonny Rhodes here. I do not usually do reviews for retrospective or best of recordings. So why is this one different? Because though these songs cover the history of Sonny Rhodes they are new recordings featuring a crack band of Rich Kirch, Frank Stewart, and Dawn Richardson. The disc alternates between Sonny relating key points of his life story and the music. You learn how he grew up in a small town in Texas, received his first guitar, playing bass with the aforementioned King and Collins’ bands, he tells you about the turban he wore for many years, the tribulations of love and so much more. It is truly a personal selection of tunes stemming his life’s work. 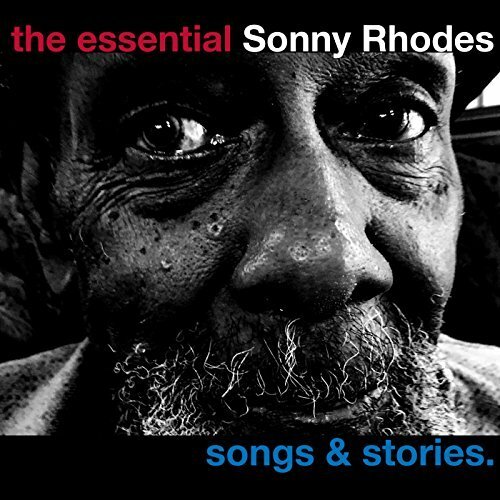 This is a very well done production combining classic Sonny Rhodes’ material and stories that are fun and enlightening. For true fans of his and those looking for an introduction to a masterful performer. This one gains a full recommendation. ‹ What’s on Tap for November’s General Membership Meeting . . . The Muddy Awards! !